“Since publication of this story, the News Sentinel has done additional investigation in an attempt to independently verify Schmitt-Matzen’s account. This has proven unsuccessful. Although facts about his background have checked out, his story of bringing a gift to a dying child remains unverified. The News Sentinel cannot establish that Schmitt-Matzen’s account is inaccurate, but more importantly, ongoing reporting cannot establish that it is accurate,” the News Sentinel said. 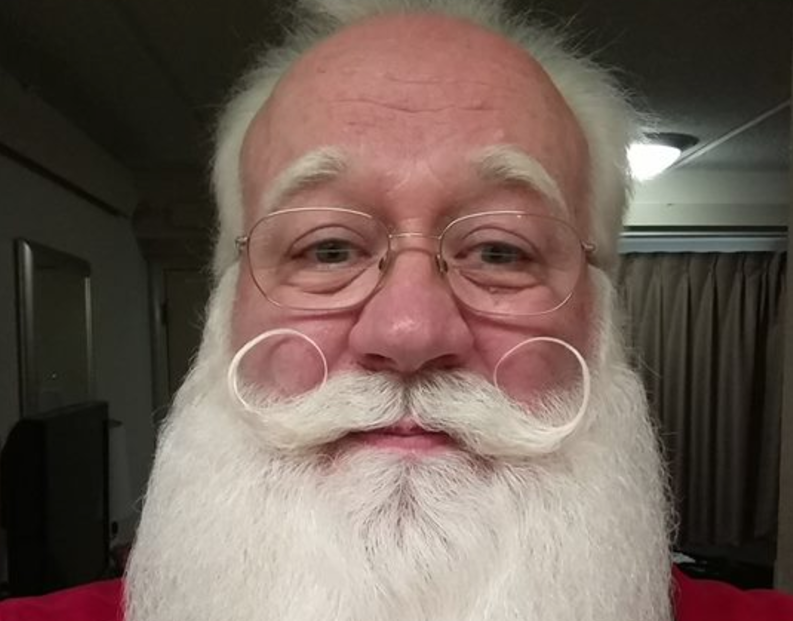 Sixty-year-old Eric Schmitt-Matzen has the beard, the build and the gentle eyes of Santa Claus, but he also has something even more important: the spirit. For years, the Tennessee-based Santa has been traveling to amusement parks, malls and even hospitals to visit children ahead of Christmas. He’s heard his fair share of funny and touching stories. But there’s one, in particular, he’ll never forget. Hearing the urgency in her voice, Schmitt-Matzen hopped in his “sleigh” and quickly made his way to the hospital. He arrived at the hospital within 15 minutes, tightening his suspenders as he made his way inside. He asked the family to stay outside if they were going to lose it, so they did. And he made his way inside the boy’s hospital room. “When I walked in, he was laying there, so weak it looked like he was ready to fall asleep. I sat down on his bed and asked, ‘Say, what’s this I hear about you’re gonna miss Christmas? There’s no way you can miss Christmas! Why, you’re my Number One elf!” Schmitt-Matzen said, according to the Knoxville News Sentinel. Schmitt-Matzen then handed the little boy the present. The boy struggled to unwrap it, but when he finally did, he looked down and flashed a big grin. “I wrapped my arms around him. Before I could say anything, he died right there. I let him stay, just kept hugging and holding on to him,” Schmitt-Matzen said. The boy’s family, who were gathered outside of his hospital room, sobbing, saw his fragile body and ran to his bed. It’s a day Schmitt-Matzen will never forget. “I cried all the way home,” Schmitt-Matzen said. Schmitt-Matzen almost hung up his Santa hat that day, but when he thought about the impact he can make on children’s lives, like that little boy’s, he decided to stick around — at least one more year.